Make note of the complete "Web address of your FRITZ!Box". It starts with "https://" and ends with the port being used (see fig.) 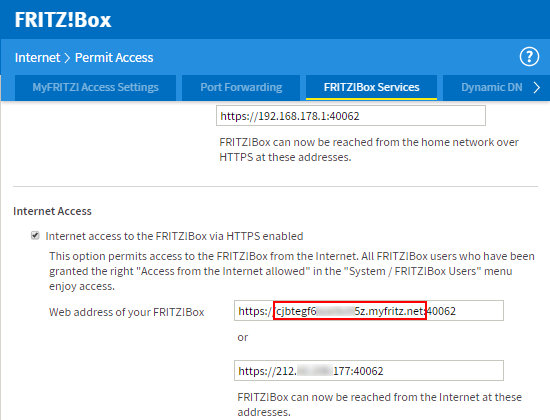 if the FRITZ!Box does not use the standard HTTPS port 443.